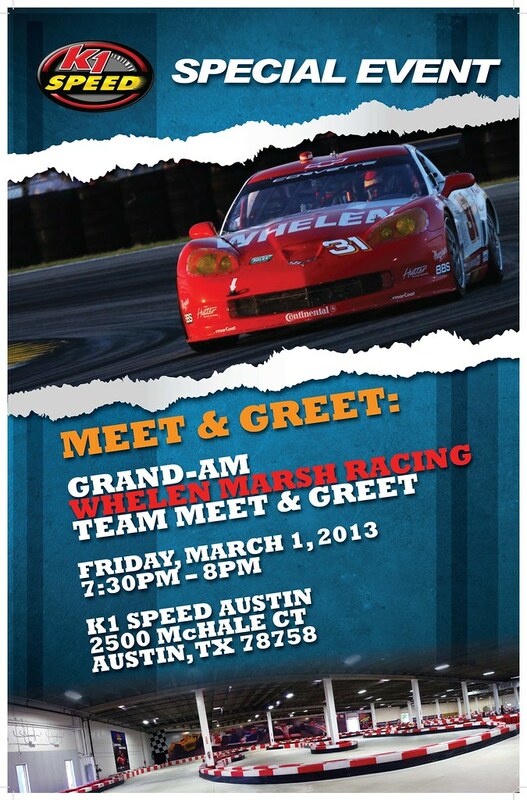 Meet the Whelen Marsh Racing’s Eric Curran and Boris Said Friday, March 1, 2013 – 7:30pm – 8pm at K1 Speed Austin! Meet and take photos with your favorite Grand-Am driver! Watch them race live March 1-2 as Eric and Boris take on the Circuit of Americas track in Austin, TX.